When little Adri sets out to explore the ocean, he has no idea how colorful the world is. He quickly discovers that there are all kinds of fish in the deep blue sea—big and tiny, smooth and spiny, colorful and plain, different and the same. 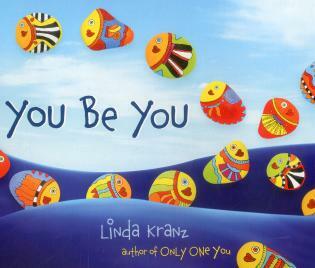 In this companion book to the best-selling Only One You, Kranz uses her famous rockfish to convey the message of beauty in difference in a vibrant and engaging way that will get kids hooked. Now in board book for younger children.